When Sea Pines was designed, Charles Fraser recognized a neighborhood on a small spit of land which had direct deep water views to the Intracoastal Waterway. This community is surrounded by some of the most beautiful marshes found anywhere in the Low Country. Calibogue Cay homes boast lovely Lowcountry architecture, exquisite views and an intimate community feel. They have deep water access and many of the homes in Calibogue Cay have their own private docks. 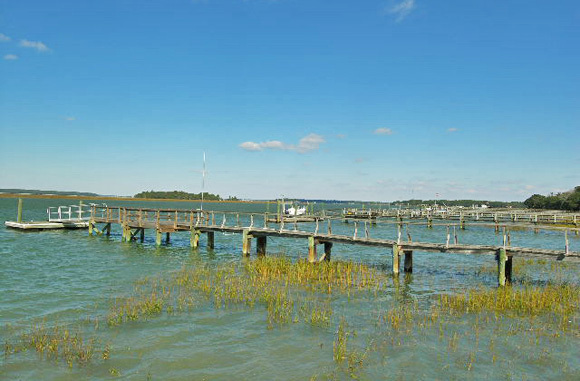 The owners in Calibogue Cay have the opportunity to have a boat at their home on the deep water of Broad Creek with easy access to the Intracoastal Waterway and The Atlantic Ocean. Calibogue Cay homes are only a short distance from Harbour Town, South Beach and the Atlantic Ocean. Made up primarily of fulltime residents, this community is one of the most prestigious in the Sea Pines Resort.